UM-Dearborn Difference Makers are at the forefront of their fields. They’re improving the lives of others and making an impact on campus and in our local communities. Nominated by faculty and staff, these individuals aren’t just outstanding students and alumni, they embody academic and professional achievement, integrity and leadership. Don't miss this opportunity to hear from students and staff at the University of Michigan-Dearborn. Attend Spring Open House on Saturday, April 13 from 12 -3 pm and learn about our 100+ degree programs, available student resources, housing option, scholarships and financial aid. 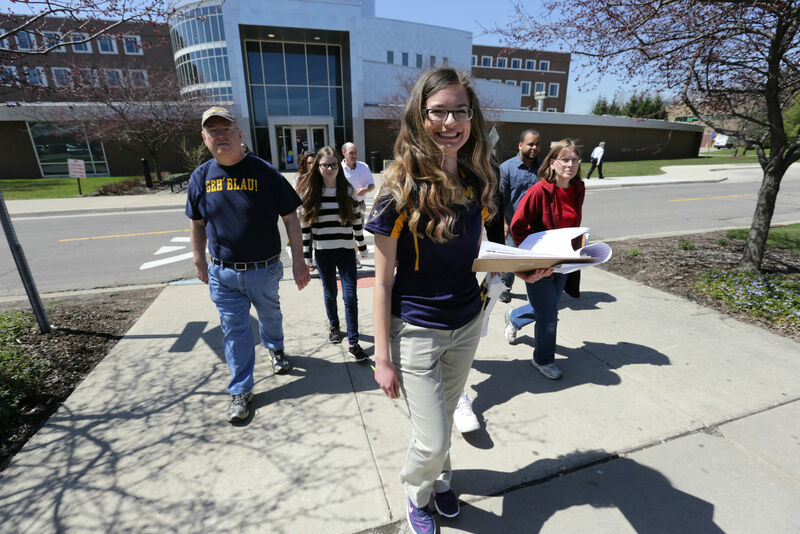 Ask questions from a student leader while they give a tour of the UM-Dearborn campus and participate in a presentation hosted by the admissions office.